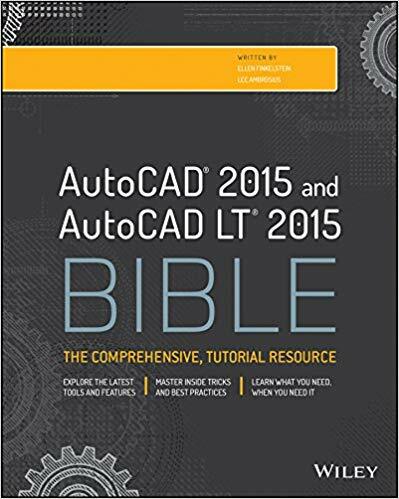 Recently, a reader of my book, AutoCAD 2013 Bible, was reading something I wrote about the ribbon. He undocked it. (You can do that by right-clicking at the very end, in the blank gray space and choosing Undock.) Then, he clicked the X on the ribbon, which closed it. (Of course, I never recommended doing that.) Uh-oh! He finally guessed that he could type ribbon on the command line, but he was angry at me for not explaining how to get it back. 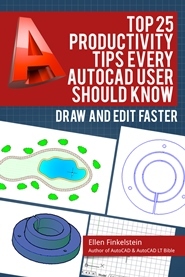 So I thought I would provide some information about how to fix problems that occur when you inadvertently mess up how AutoCAD’s user interface looks. Type ribbon on the command line to display the ribbon. The RIBBONCLOSE command closes the ribbon. If the ribbon gets undocked, drag it upwards until it snaps into place. You can collapse the ribbon so that it doesn’t take up as much space. Click the down arrow at the right end of the ribbon tab names and choose one of the options: Minimize to Tabs, Minimize to Panel Titles, or Minimize to Panel Buttons. Try them out and see which option works best for you. Similarly, you can type commandline to display the command line window. You can type commandlinehide to hide it. By default, the menu bar is not displayed. But you can use the MENUBAR system variable to show or hide it. Set this system variable’s value to 0 to hide it and to 1 to display it. What else affects the user interface? There are many more commands and system variables that affect the user interface. To find them all, press F1 in AutoCAD to open the Help window. In the Search box, type Commands for Working With the Application Window. What fixes do you use? Leave a comment! Your tips-n-tricks are always good even if it is already known. Driving home a subject or a reminder is always welcome and needed. I have a large library of tips I have collected since R11. Your e-mails are always welcome for it reminds me of areas I haven’t used in a while and need to refresh myself on. As we move forward from release to release some of the old tricks still work and apply. Adding new tips-n-tricks just add to the fun of sharing and learning. I have and use your books. I find each very useful.